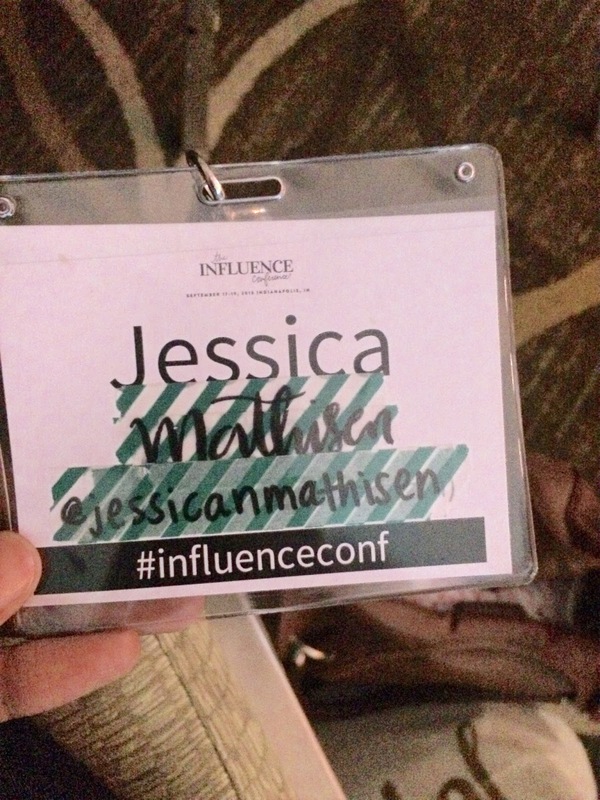 Last week, I had the immense privilege and joy of attending the Influence Conference in Indianapolis. The Influence Network is an online community of women all over the world who want to make the name of Jesus great right where they are- as teachers, bloggers, moms, students, and small business owners. The Influence Conference is a gathering of women with one goal in mind- to see God glorified in their lives, their families, and their communities. Last year, my friend Rachel and I traveled to a writers’ day in North Carolina hosted by the lovely Emily Freeman. This day proved so wonderfully fruitful for both of us and was such an encouragement to both of our passions. We both lamented the fact that we did not have the time or money to be able to attend the Influence Conference, swearing that we would go next year. Lo and behold, shortly after we returned to Athens, the tickets for this year’s conference went on sale, and with trepidation, we clicked buy! Little did we know that this would also be the last national gathering. We were so glad we jumped at the chance to attend this year. So much has happened for both Rachel and I in this last year. At this time last year, she was engaged and finishing up her college education. I had just begun my job at Downtown Academy and had not yet my husband. My, how quickly times change. I now want a yurt/fort/tent in my house. Anyone else channeling The Holiday here?! I went into Influence asking God for big things. My heart needed to hear from Him, and I desperately wanted a fresh word. Let me tell you, He delivered. (Why do I feel surprised when He does what He says He will do?!) On Sunday afternoon, I came home and talked to Rory nonstop, sharing details about the speakers and all that God had done in my heart and mind. It is very easy for me to read others’ blogs and have an idealistic picture of them in my mind. The internet can be so kind, yet so cruel. When I read others’ blogs, it is so easy to think that they have somehow “arrived” and that they have it all together. That they’ve reached a new level of walking with the Lord that I might get to “one day.” But friends, this way of thinking just feeds comparison and competition, which both are not of the Lord. I say that only to express my genuine delight at discovering the humanity of those chosen to speak over us this past week. The women who taught did so with love, grace, and poise. They were kind and approachable, and I respect them more now after having heard and met them in the flesh. New name? Nothing a little Sharpie and Washi tape won't fix. The first keynote speaker, Hayley Morgan spoke on Friday morning, reminding us of the dangers of a divided heart. She began with explaining how we choose to believe that we truly can do all the things when we “multitask” back and forth between this job and the next. When we run to our phones, the television, or computer for comfort and numb our minds, we’re not treating the root problem, but rather the symptoms of a divided heart. A spiritually divided heart is easily swayed, concerned for its own well-being, and malnourished. A spiritually undivided heart is stayed on Christ and rests in Him, believing that He alone can truly sustain. This message was so powerful to me- I want to be able to do everything on my own strength. But as I grow with Him, it becomes abundantly clear to me that I can do next to nothing of worth if it is not of Him. With my sweet friends Whitney and Gretchen from Life Lived Beautifully. Lately I have been learning about the power our emotions have over us- to sway us and make us doubt the promises of God. Erin Loechner and Ruth Chou Simons both taught breakout sessions that reminded me of the importance of staying my mind on God’s truths. Erin spoke of the importance of knowing oneself and recognizing the need to admit weakness, while Ruth spoke of the importance of knowing God and resting in the promises of His word. During both sessions, tears welled up in my eyes as I realized, once again, the power of my thoughts and the perspective I have towards situations over which I have no control. Erin’s session was entitled “Lean Back: Encouragement for the Weary, the Tired, the Women in the Trenches.” I attended the session because quite honestly, I see myself as a woman in the trenches- recognizing the myriad needs of myself within and also of the people around me. And friends, it is tiring to attempt to do things on your own apart from Christ. One of the things that Erin said that deeply resonated me was that trenches are not bad. In fact, they are the safest place to be in a war. They are the place of protection. This perspective was such a comfort as I realized that in the midst of uncomfortable storms, I am exactly where God wants me to be-under the protection of His mighty hand. The most effective thing we can do is to preach to ourselves in the midst of the most mundane corners of our lives- that we might proclaim the Gospel to the ends of the earth. We can’t do the latter without the former. The sunset on our drive home from Indy was breathtaking. Our Creator is amazing. This sounds like a surefire way to joy to me. Friends, I cannot adequately express in words just how beautifully perfect the timing of this conference was for me. I left feeling quite raw after laying down many fears, worries, strongholds, and pretenses at the cross, and yet I am hopeful and expectant for the Lord to do mighty things. He is so very good. All the time. I love this recap; what an awesome conference! I somehow just realized that I never responded to this comment. My apologies, Stephanie! I am so glad that you enjoyed this post and hope that you'll be able to get in on the Influence Network! It's pretty neat!